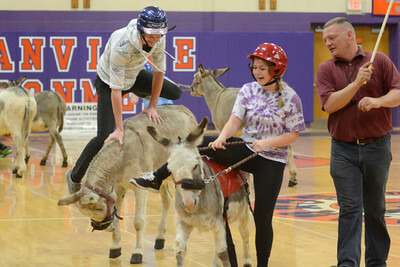 Josh Jurgill, 18, left, Catawissa, and Lillie Fidelman, 16, Shamokin, try to hop on their donkeys during Thursday's Donkey Basketball game at the Danville High School to support the Danville Little League Challenger Division. 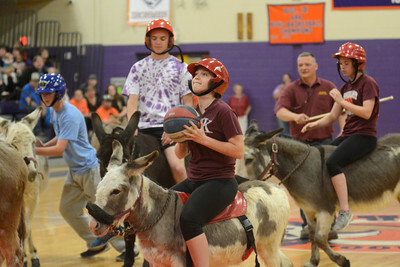 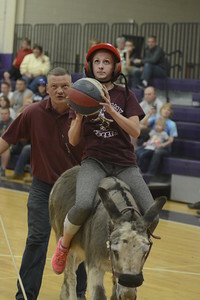 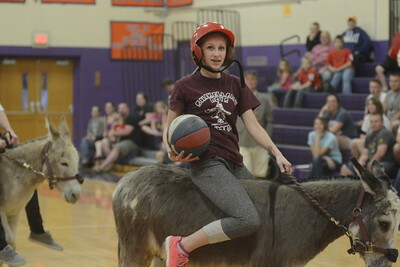 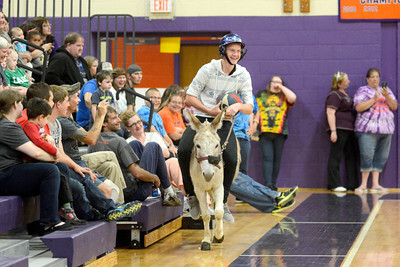 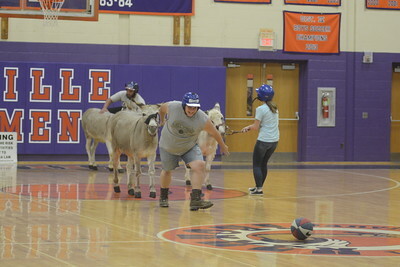 Josh Jurgill, 18, Catawissa, rides his donkey past the crowd at the Danville High School gym on Thursday during a game of Donkey Basketball to help raise money for the Danville Little League Challenger Division. 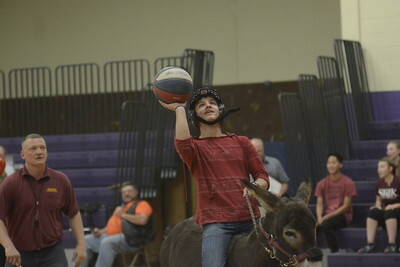 Sam Leib, 17, Shikellamy, takes a shot during Thursday's Donkey Basketball game in Danville to support the Danville Little League Challenger division. 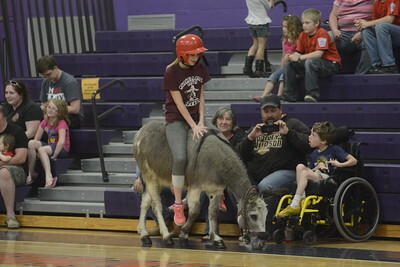 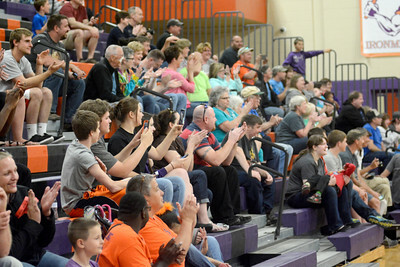 The crowd claps during Thursday's Donkey Basketball game in Danville.